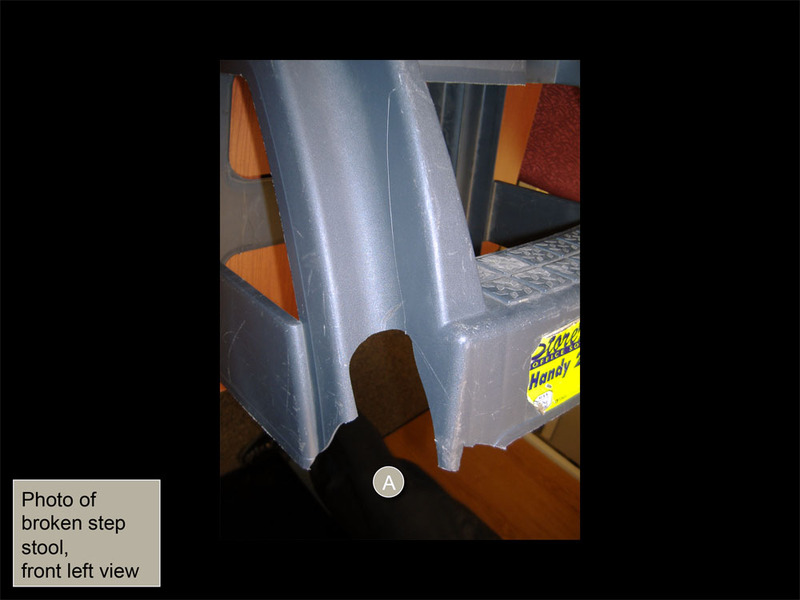 Evidence Documentation, 3D Modeling and PowerPoint presentation for use at trial. 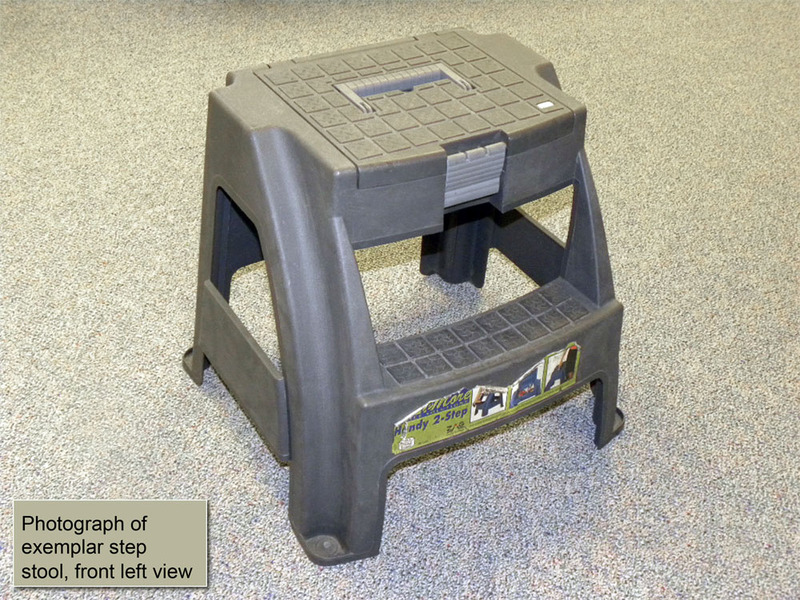 Drake Exhibits was retained to create a presentation in defense of the manufacturer of a plastic step stool. 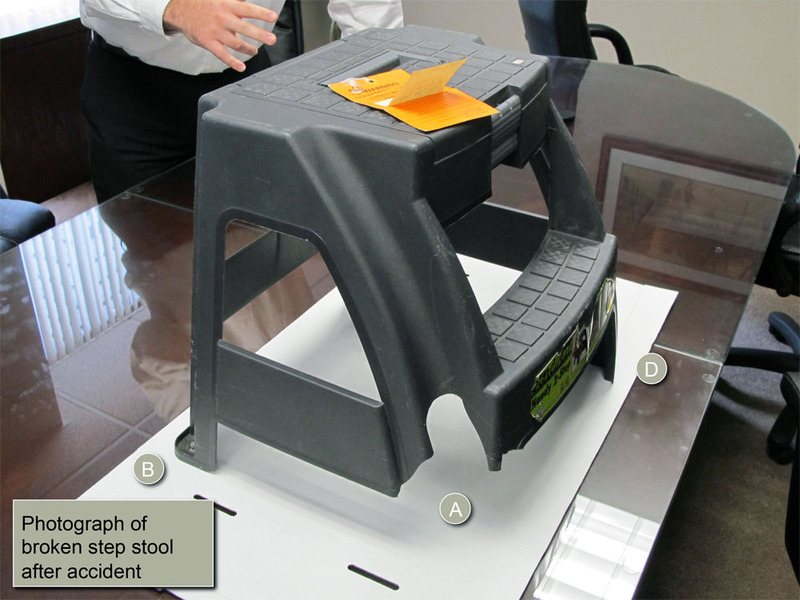 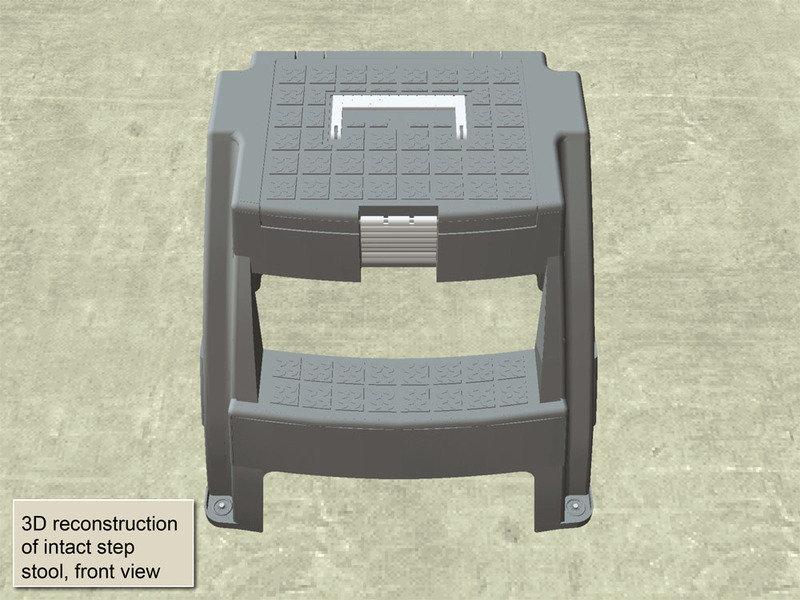 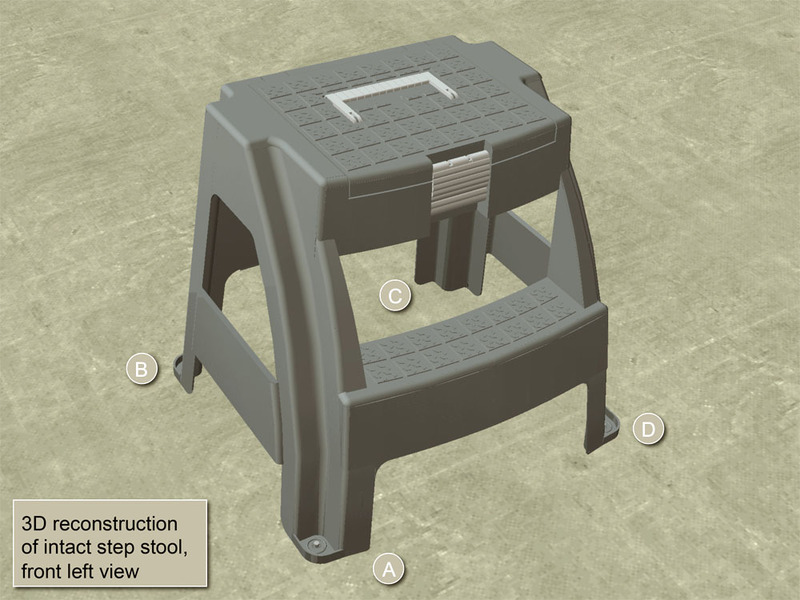 The subject step stool had been damaged prior to an accident where the plaintiff was injured when the stool collapsed. 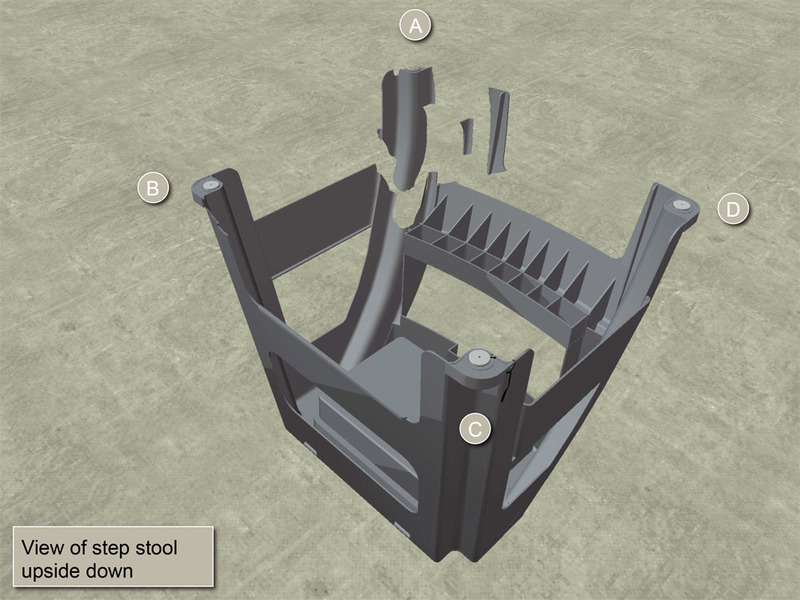 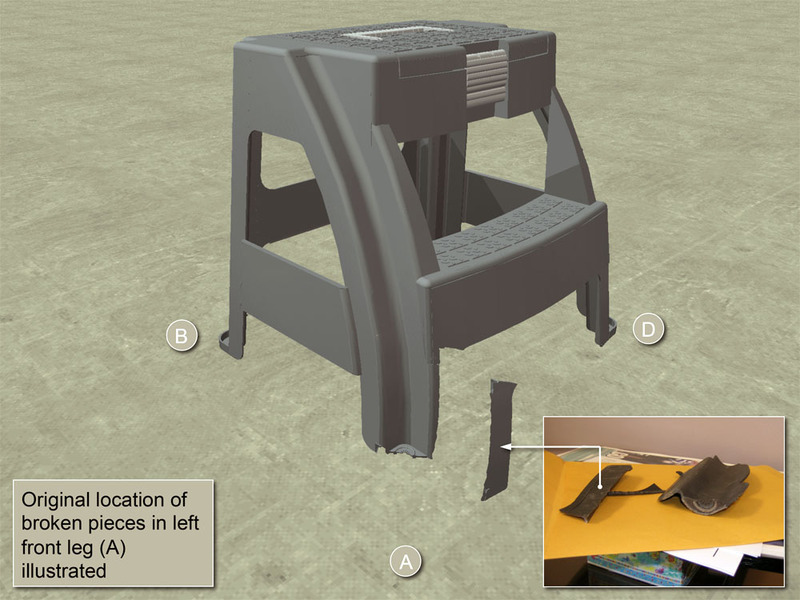 A 3D computer model was created from measurements of the damaged stool and an exemplar stool. 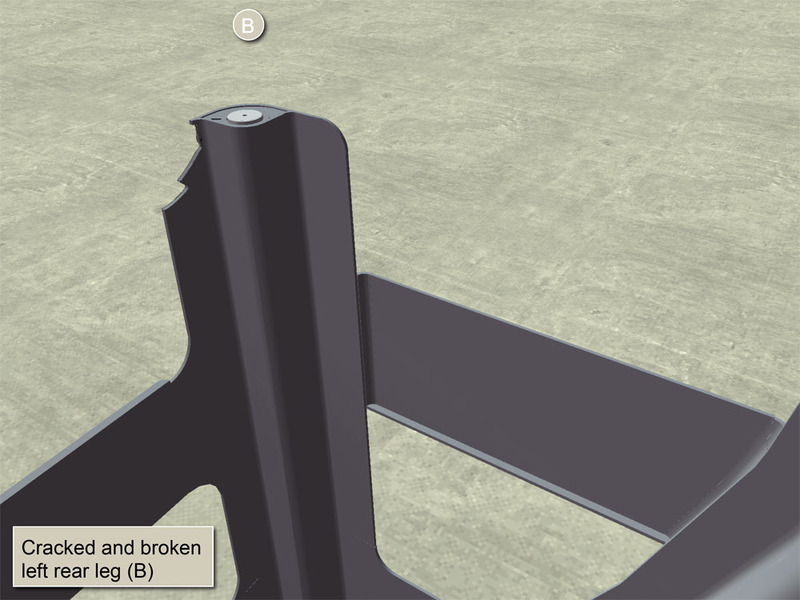 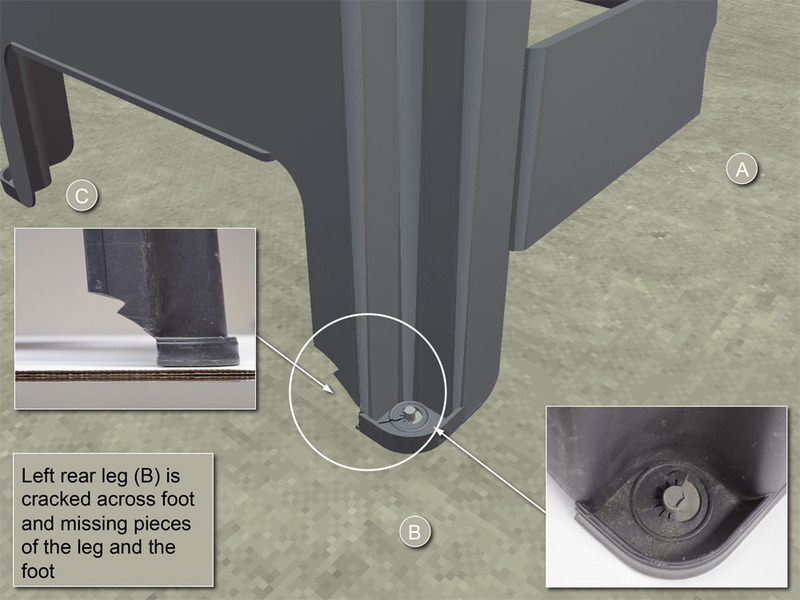 Photos of stool fragments from the accident (which were missing from the evidence) were used in the presentation to identify which fragments were broken off during the accident and establish the extent of damage to the stool prior to the accident. 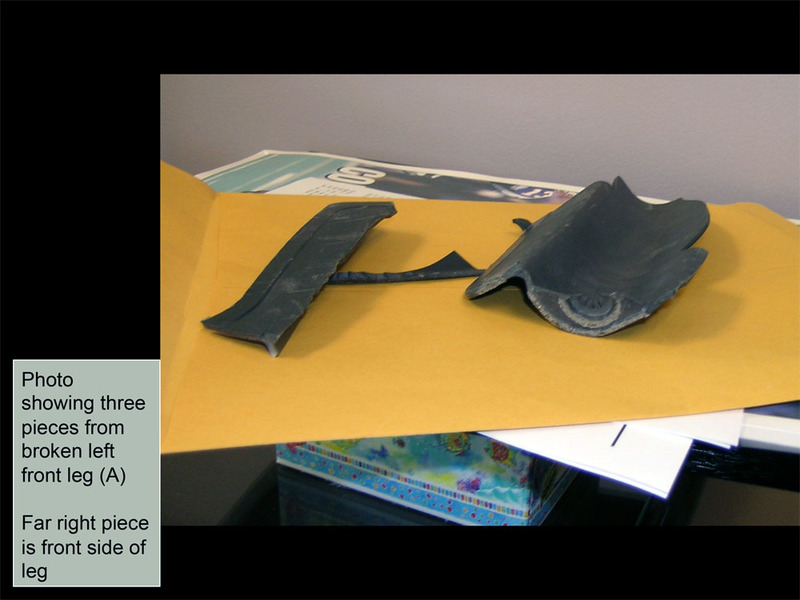 The prior damage was clearly described and graphically illustrated.